The Lofoten Archipelago: no longer a hidden gem, but still a gem. The world has discovered the Alpine mountains in the middle of the ocean. artists and landscape photographers have become ambassadors for their raw beauty. We travel by boat, in the most natural way. To reach otherwise inaccessible fjords and approach the fishing harbours from the right side. We love hiking on those ancient old rocks. And enjoy a little touch of luxury, good food and company on our cosy, floating basecamp. 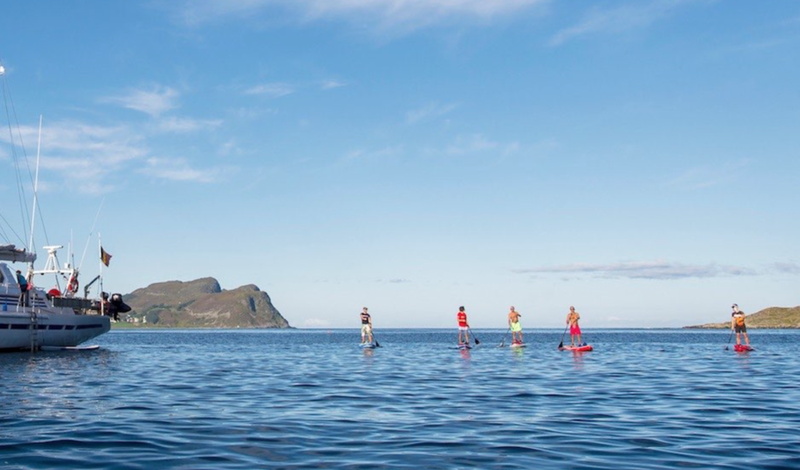 Are you curious to experience the essence of what the Lofoten are all about? We seek the silence & solitude of the Autumn when Nature rewards us with a colourful show. When shades of yellow, orange, red complement the green. When the most beautiful of the Arctic lights, the Aurora Borealis starts to perform, in a lucky polar night. With our yacht, we have the freedom to anchor in desolate fjords. We moor at picturesque harbours and approach land as modern Vikings. We are one with the sea and thus see much more. With some luck we spot whales, orcas, otters, seals in the water and white-tailed eagle in the sky. A crew takes care of the sailing and no experience is required, but whoever wishes to learn is most welcome to do so! Participate in the process and experience a new level of group bonding. No fear of seasickness, our distances are short and we seek sheltered waters as much as possible. We programme a superb hike every day. And every day, you have the choice whether you join us or not. The selected hikes of 2-5 hrs. are relatively easy, accessible to all in normal health and require no alpine skills. Our itinerary includes the following highlights: sailing through the maze of skerries along the North coast of Vestfjord, hiking from the white sand beaches of Brettesnes to the Ulvågfjorden, hiking up to Trollfjordhytta with views on the smallest, steepest and most spectacular fjord in the area, authentic Henningsvær, Nusfjord wedged between narrow rock, cosy Kræmmervika, hiking to the top of Skrova and looking back towards the Lofoten Wall, ending in the capital of Svolvær. For the detailed day-to-day schedule, please contact Sofie and ask for the brochure. 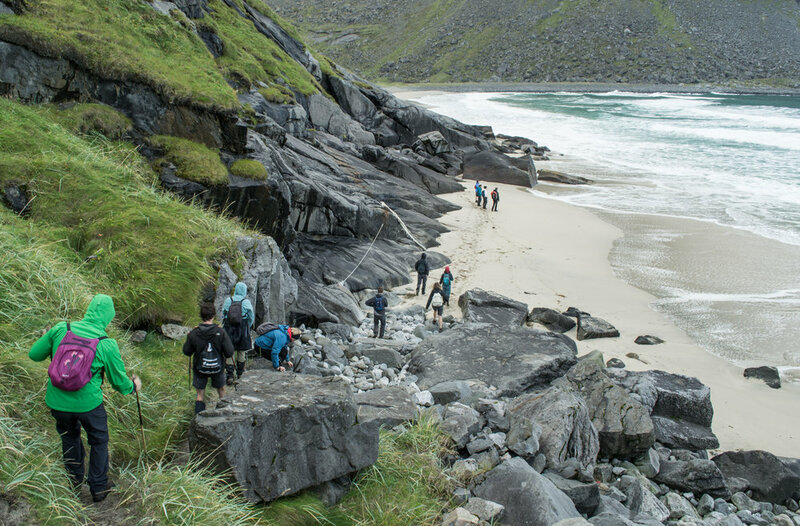 During our journey along the fishing villages, we’ll learn and experience more about the essence of what the Lofoten are all about: the fish. The nutritious stockfish accompanied the Vikings on their long-distance voyages. Cod has fed the Norwegian economy. It was shipped to Bergen and traded with the rest of Europe. Fisherman and whale guide Lauri will share his knowledge with you. Tap into the experience and local knowledge of our friend Lauri and enjoy the youthful enthusiasm of lead Puffin Sofie. This strong tandem offers you a varied choice programme where the hikes are tailored to the profile of the participants. Lauri is a Finnish lumberjack by origin, but has lived in Northern Norway for the past two decades. In Finland, he was a teacher and biodynamic farmer. In Norway, as part-time fisherman and part-time whale guide, he spent most of his professional life at sea. 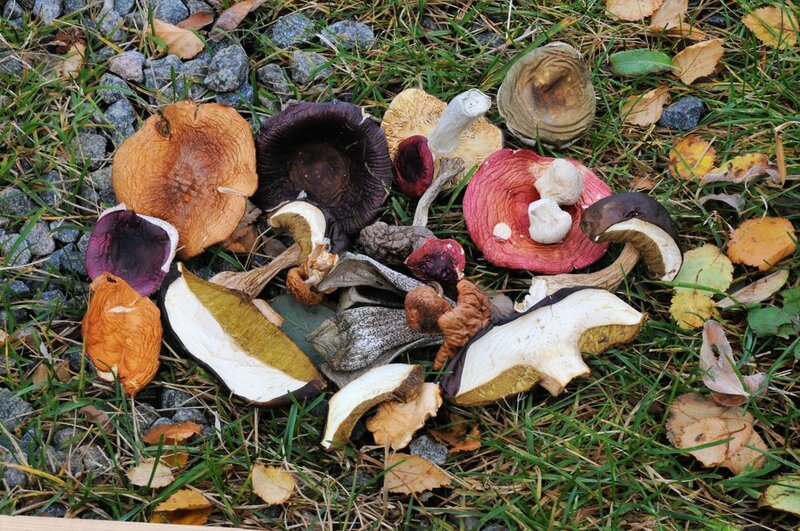 There are Autumn days, where Lauri comes home with 30 kilo of picked mushrooms. He is a walking encyclopedia on the natural treasures of Arctic Norway and a brilliant storyteller who contributes to the tradition of oral history. His hospitality is unrivalled, his cooking sublime. Norway was my first love. I cycled for months on end with a tent and a fishing rod zigzagging from mountains to fjords and enjoying the freedom of the ‘allemannsretten’. Ever since, I have been guiding groups in Norway’s mountains. Since a couple of years, I discovered the ultimate freedom and the comfort of touring around with a sailing yacht as basecamp. It was the start of Puffins and a big project in Greenland followed suit. Many sea miles later, I hope to make this travel style accessible to more hikers and people who love the outdoors.